Meet the Lesson Horses and Ponies! Bear Bear is our biggest school horse, but also the sweetest! 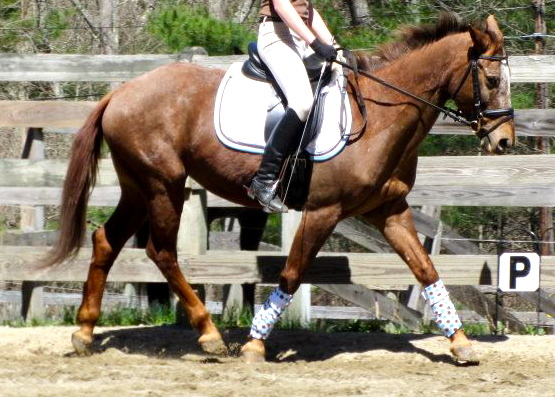 He is a true gentle giant at 17.0 hands, he is 1994 warmblood gelding. Bear came to us from another program and prefers to stick with his leasers most of the time. If you are lucky enough to get a ride on him you will fall instantly in love! Juno is a 15hh palomino gelding, born in 2000, and sweet as can be! 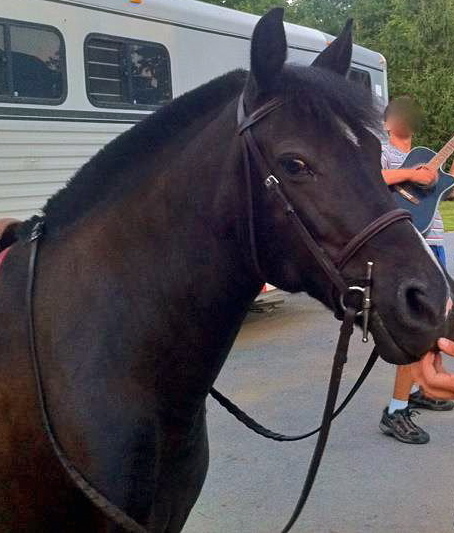 He is a very talented and polite pony who loves dressage and jumping. Rosie is a 13hh, 1990, black pony mare. Also a longtime fixture here, Rosie just loves children! Willow is a 2001 Irish draft pony mare. She is super comfortable to ride and a summer camp star. Willow has had her foal, Dunkin, and will be returning to lessons this fall. ​T.C. is 15.1h, 1985, Morgan gelding. 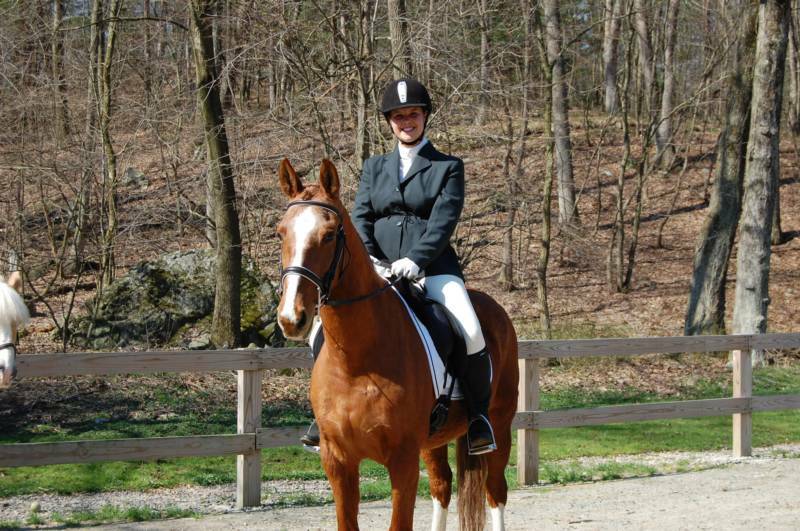 He has had a long and successful career in the dressage ring competing thru fourth level. Don't let his age fool you, he is very athletic and super steady! Candy is a 15hh, 1993, Quarter horse mare. Candy is our energy-girl, very popular with the kids. Faith is a 16hh Black Friesan cross mare, 1994. 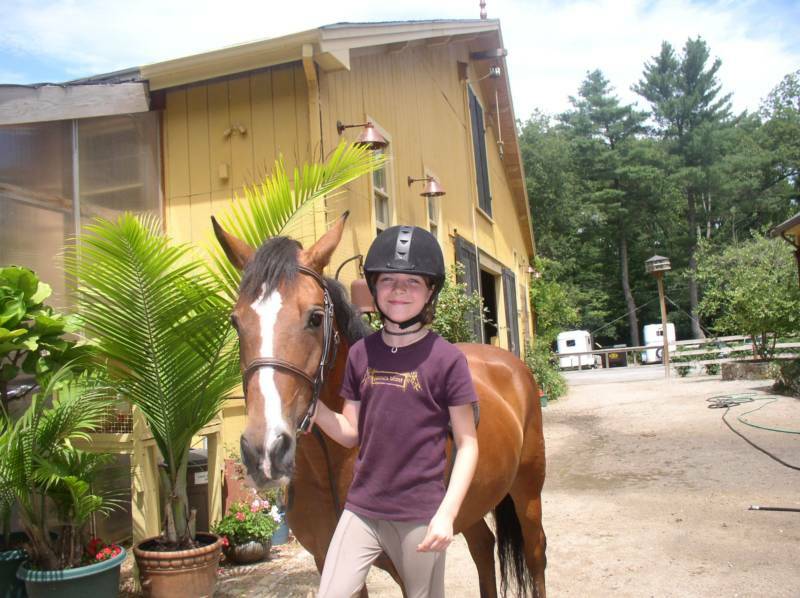 She has been at our farm with the Redston family for a long time and is working in our lesson program while her owner is off to college. 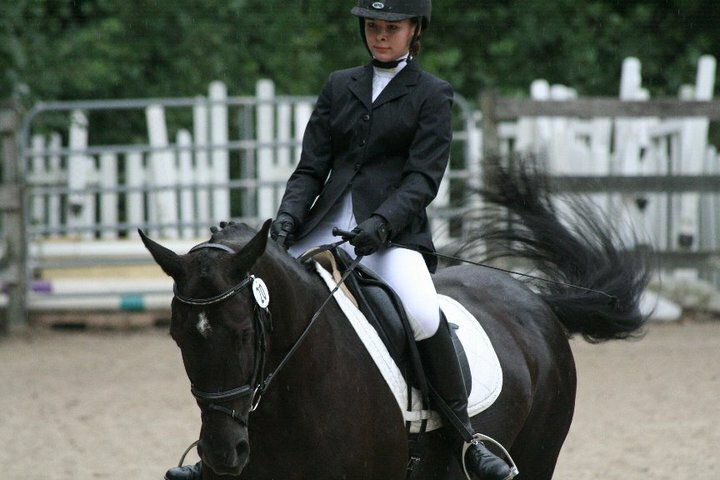 Faith has competed in all rings, from hunter to dressage to eventing and show jumping! Padington is a 15hh, 1984, Quarter Horse cross gelding. He is one of the smoothest rides around! Paddington has been retired to Trum-Searah Farm in New Braintree, where he can spend his day lounging in the fields. Mowgli is a 16.1hh 1992, bay gelding. He is an old pro when it comes to lessons and children. 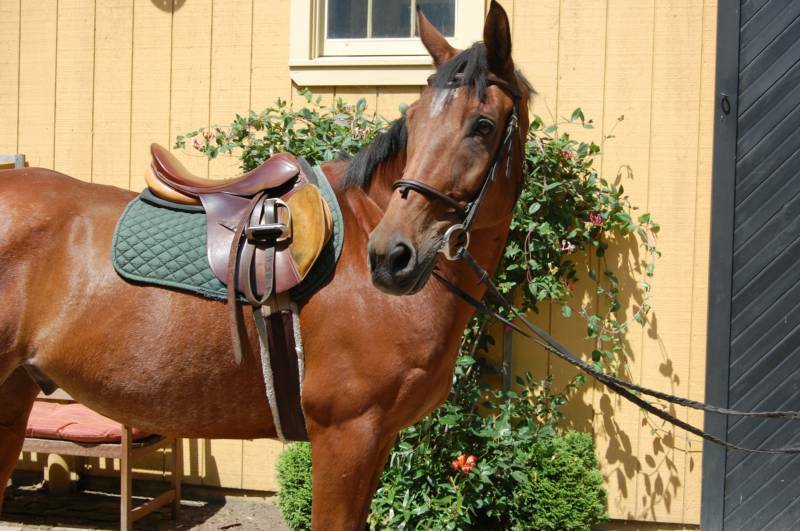 He is a easy going guy with a wonderful canter and is a steady and confident ride. Mowgli is well schooled in dressage and jumping. Bubbles is a 14.1 hh, 1991 strawberry roan Appy mare. She is a wonderful mover and has a lot of talent over fences and courses. She is easy to get along with and very mild nature which makes her a fun horse for beginners as well as advanced students. Harry is a 13hh 2000 POA gelding. He is the cutest around and tons of fun to ride! He loves to jump and is super experienced and kids. He will show you everything you need to know about canter and jump work. Willow is a 14.2hh 2005 Chestnut mare. She is the smoothest and most patient horse around. 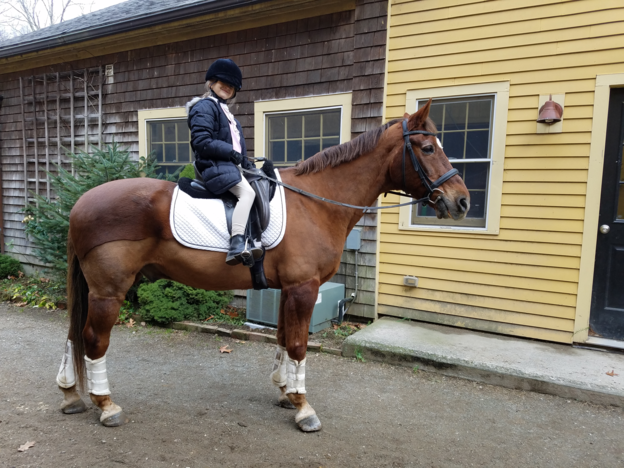 She loves to show our younger beginners the ropes and also likes to show our older riders how to jump! She rides western too! A real confidence booster for every level of riders. Romy is an 10 hand 1994 Shetland pony gelding. He is about the cutest in the barn and super polite to ride! He offers a great confidence building ride and schools us all on our balance. 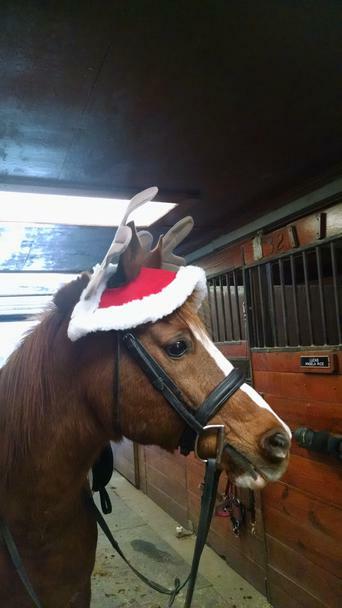 Banner is a 1997 14hh chestnut Arabian gelding. This guy is a lot of fun to ride and has a great personality. He is about the coolest guy around and offers a lifetime of show experience.